Is Instagram Mapping Your Location? Instagram is a magical place for beautiful feeds & daily inspiration. Instagram is most definitely the spot to be if you're a blogger! During my Europe trip, I shared photos like there was no tomorrow. My sister took a look at my feed & she pointed out that one of my photos nearly gave my home address. At first I dismissed her; I told her I would never add my home address to my photo map, only something cool like Paris or a place I really want to share. Then she showed me. The photo genuinely mapped itself just a few streets away from my house. I never added that geotag. In horror, I asked her how that was possible. 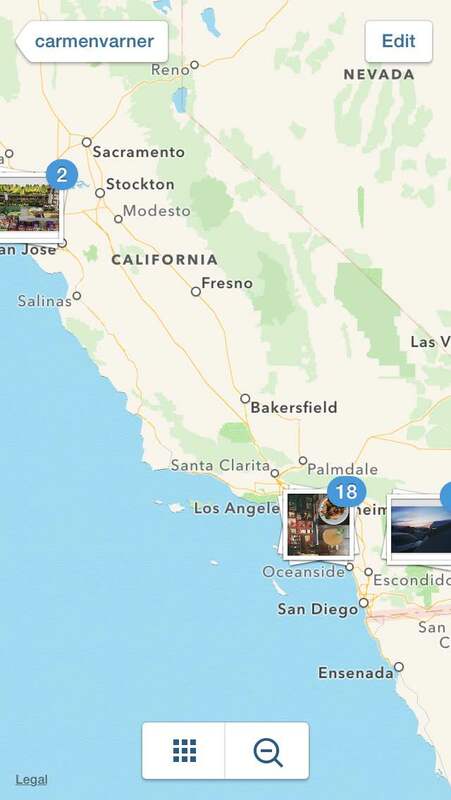 Instagram maps your location. Although, the policy has since changed. But here's what used to happen: For example, say you're sitting at home & post a picture of San Francisco from when you visited last month. You tag the restaurant you were eating in. 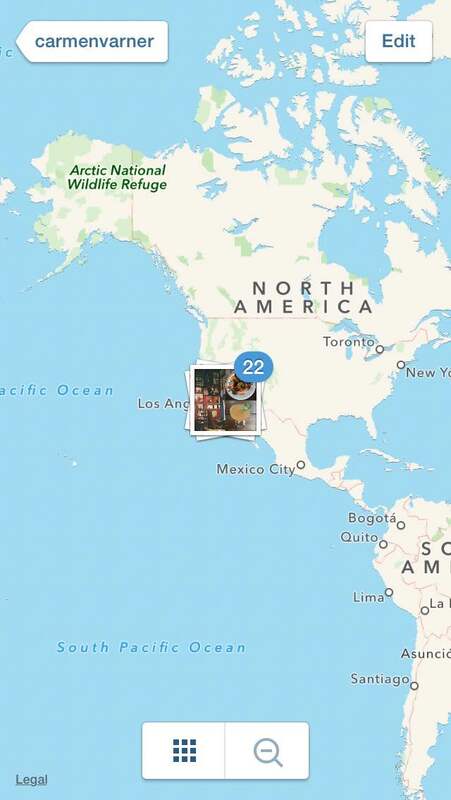 The photo on your feed says it's at the restaurant in San Francisco but the actual location on your map shows exactly where you were when you tagged it, not San Francisco. Perhaps you were at your house or going for a walk near your house. That's what happened to me. I just tried this out again, but the policy has since changed. Thankfully. The photo showed up exactly as I tagged it; it said I was in Amsterdam & located itself there. Take note: your photo location is visible outside of your photo map. Photos tagged with a location will also show up on that location's page, & the location name will be visible on the photo's share URL. 1. Go to your Instagram profile. Click on the little location marker tab. 2. Take a look at the places that your location has been tagged. Zone in on anything specific you want to remove. 3. Tap the edit button in the top right corner. 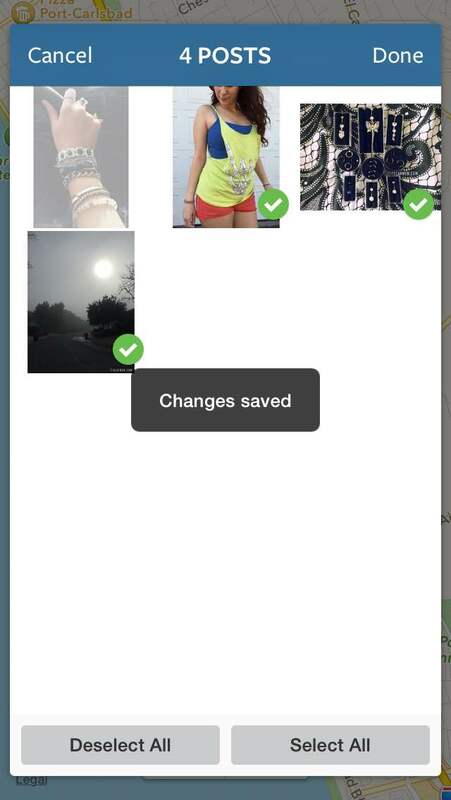 Then tap the photo or group of photos you'd like to remove the location from & tap edit. 4. You can choose select all, deselect all, or you can choose to remove any photo. Confirm that you'd like to remove the geotag. You're right Olivia! 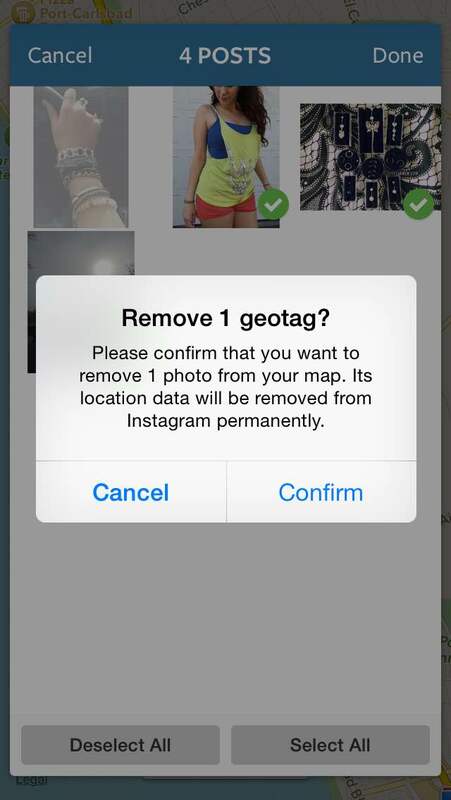 Many don't even know about the geotag & Instagram's location tracking! Thanks a million for sharing this! It's kind of scary to know this is happening without us even realizing it. Ah! I'm going to have to take a look at this, that's freaky... in the off-chance you get a creepy stalker. I have heard and read about this - and how creepy this is. Thanks for sharing this reminder, girl. I am double-checking my IG history now. By the way, thanks for a lovely comment on my blog. That is scary stuff! Thanks for making this post. Going to check. Ahh so frightening. Thanks for sharing this! Eeeek! Thank you for sharing this! Thank you SO much for posting this Carmen! I just checked my Instagram to see if it was mapping my location, and I had the same problem as you! Thanks for the step by step instructions to delete photo locations...I know I would have never been able to figure it out by myself! Definitely will be sharing this with my friends! Thanks so the tips! 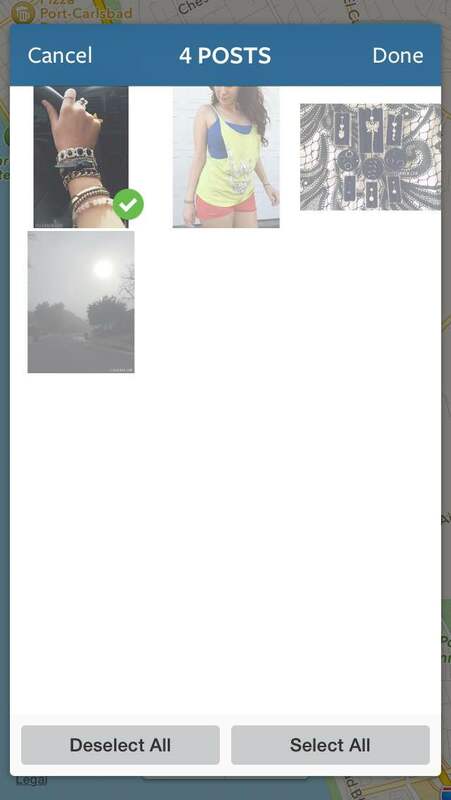 I have noticed mine has done that as well, such a strange thing with geo tagging. Luckily mine has never been from close my house! You'd think so. That's why they changed it. I'm sure there have been lots of problems!! :o I've never heard of this before!! Thanks for sharing it with us!! Im always posting from my home so now I've gotta make sure I delete all the locations. Oh God yes I knew about this and it's annoying. All apps try to spy you out in one way or the other cus they all belong to Google or Facebook or other big Silicon Valley companies. It's actually a great idea of you to blog about it and inform people who didn' tknow, I think you did a good job! Oh, I didn't know that! Thanks for sharing, really creepy. I remember hearing something similar a couple of months ago and it fraked me out! I don't tend to geotag my photos but I'll definitely remember this when I do it. 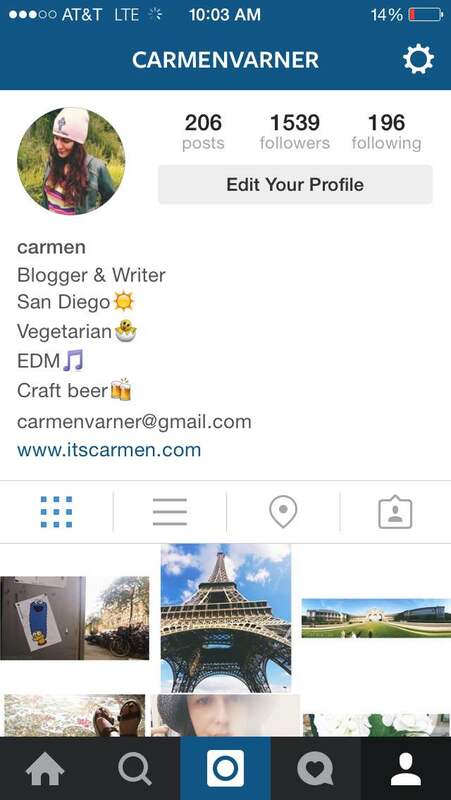 Thank you so much for sharing this useful information, Carmen! Yeah I'm not on Instagram anymore, but since they're FB owned I can see how their location mapping feature may be a bit tricky at times. Facebook just has a lot of privacy invasion issues in their company overall. It's cool to seem them updating things though, and yessss to you for sharing this! That's a bit terrifying! I'm glad the policy has changed. Thanks for sharing! Oh man, thank you for sharing this. It was probably just an IG glitch and I'm glad it's fixed now, but I am for real going to go back and check my locations. No one on IG needs to know where I live! Yeah, nobody random needs to know private information like that! ohhh I didn't realize IG knows where I am posting from.... that sounds dangerous.... I mean everybody can learn where I live?? That's not good at all! Thanks for sharing and letting us know! Not good at all. 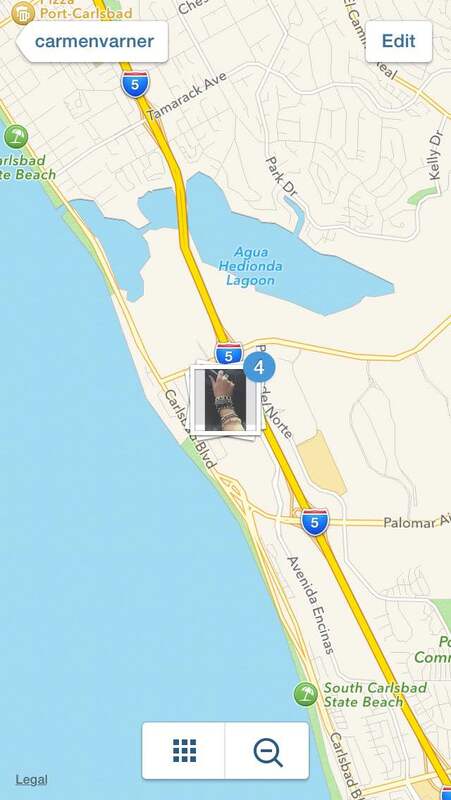 Check your photo map! This is very thought provoking, I'll have to check the places that I've been tagged in! Oh my god, thank you for writing this. I had loads of photos that had been geotagged to basically my address and I never tag places! I've removed them all, but I would never have known without reading your post, so thank you! I've noticed it did that to me once or twice in the past as well, so now I'm extra careful, always checking back and forth to see if it ever geotagged my own address! I knew about this feature but never worried about anyone stalking me...should I? I guess I can remove the ones that are closer to my home...but I actually like looking at that world map and seeing exactly where I've posted! Oh my gosh, I did not know this! Thanks for the tips on removing the tags. I've gone through my photos and untagged several of them as they were tagged right on my house!